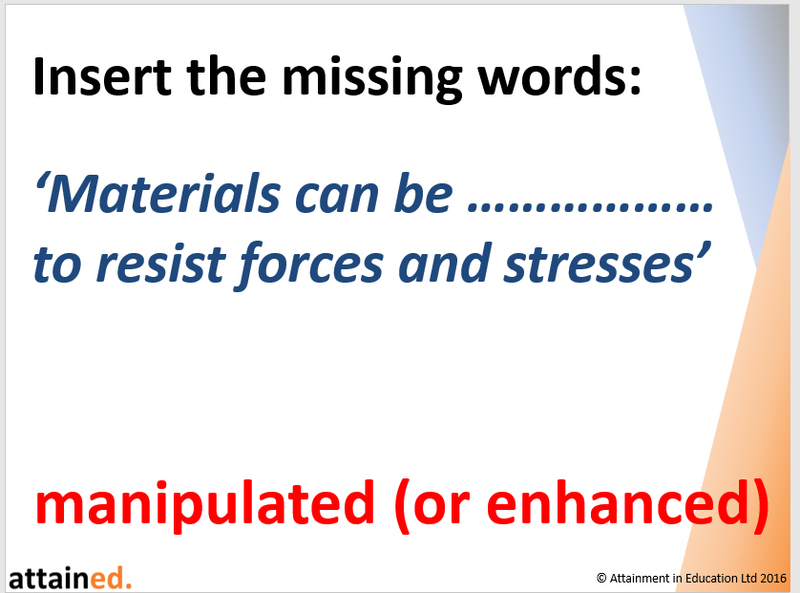 This resource from Attainment in Education contains over 60 slides. 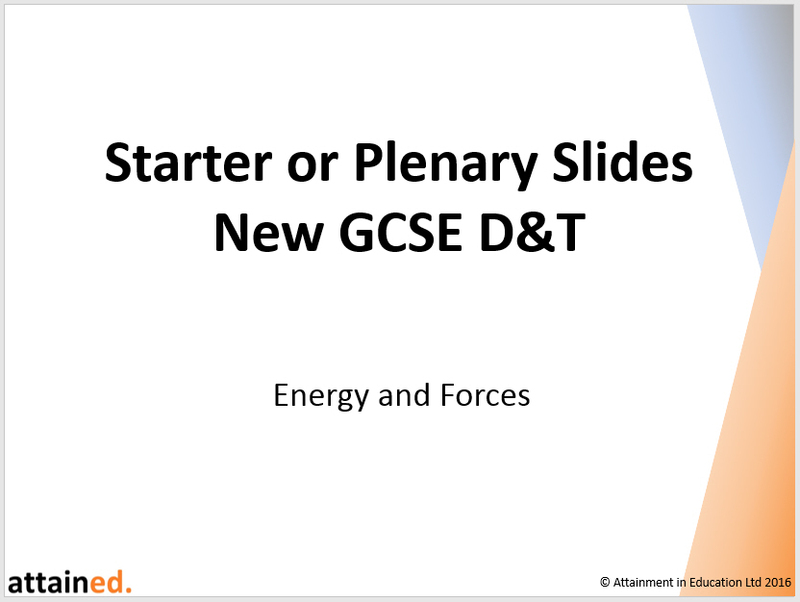 Its objective is to support literacy in the new GCSE D&T, by focusing on key terms in energy and forces. 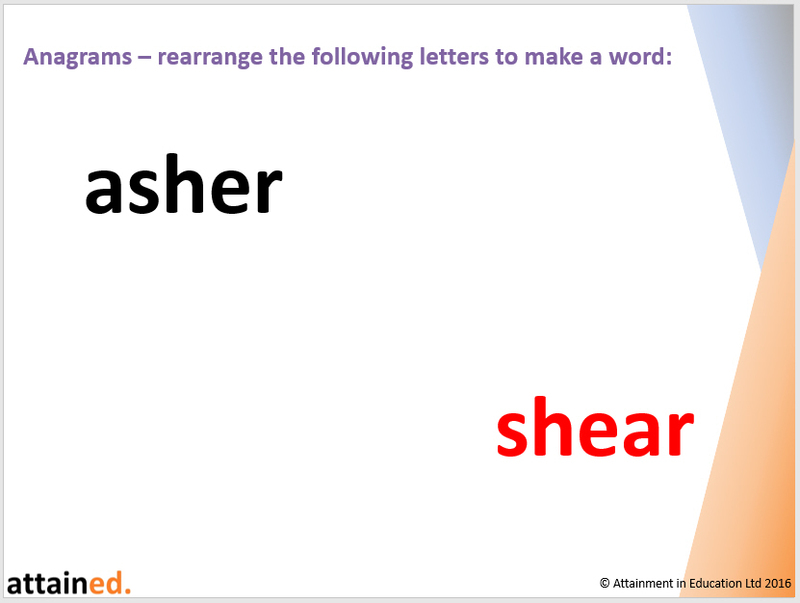 The slides include picture recognition, closed questions and anagrams. Simply copy and paste the appropriate slides for your own lessons. This is suitable for use to support teaching of the new GCSE D&T or at Key Stage 3. It has been written using the DfE guidance for technical content in the new GCSE provided to examination boards.